A group previously traveled to Timusi to analyze the community, and upon arrival found a potable water system in complete disrepair. The community contacted EIA to request assistance and is very eager to identify a solution to their current situation. After an assessment trip, EIA staff discovered that most community members do not have access to water, especially in the dry season. 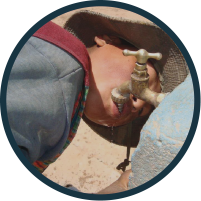 Without access to water many have suffered from health issues, an inability to grow crops to support themselves and an overall burden in trying to gain access to water. 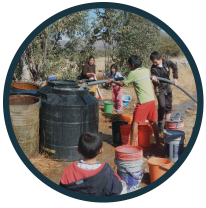 The goal of this project is to look for a solution that will add water supply to the community and ensure year-round access to this water that will support human consumption, livestock needs and agriculture.